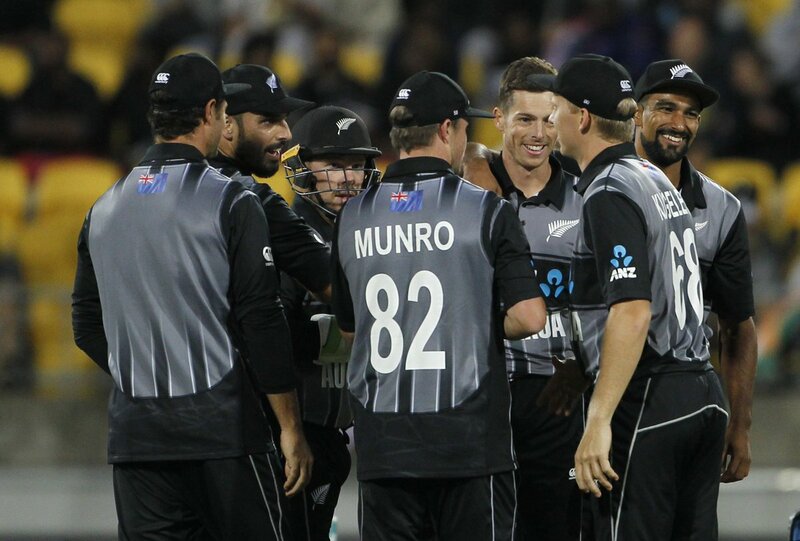 NZ Slams India In The First T20: Registers Record Win | India Vs New Zealand Latest News NZ Slams India In The First T20: Registers Record Win: After a humongous defeat in the one day series, New Zealand opened in T20 series with a bang and registered a resounding victory in the first match today. NZ Slams India In The First T20: Registers Record Win:- After a humongous defeat in the one day series, New Zealand opened in T20 series with a bang and registered a resounding victory in the first match today. India won the toss and elected to field in Wellington Regional Stadium. New Zealand scored 219 runs for the loss of 6 wickets in 20 overs. Tim Seifert (84), Colin Munro (34), Kane Williamson (34) have been outstanding with their bat and contributed their best. Hardik Pandya bagged two wickets while Bhuvneshwar Kumar, Khaleel Ahmed, Krunal Pandya and Yuzvendra Chahal took one wicket each. India could not stand before the pace of New Zealand and failed to register a strong opening while chasing a huge target of 220 runs. Shikar Dhawan (29), Vijay Shankar (27), MS Dhoni (39) and Krunal Pandya (20) have been decent but other fails badly. India went all out for 139 in 19.2 overs. Tim Southee (3/17), Lockie Ferguson (2/22), Mitchell Santner (2/24) and Ish Sodhi (2/26) made India tumble down for 139. The second T20 match will take place on February 8th.